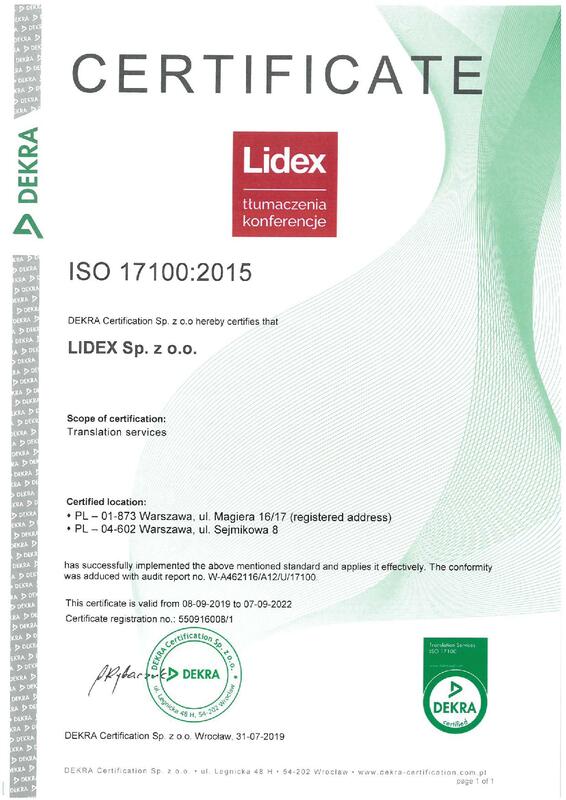 The website of LIDEX - www.lidex.com.pl was awarded the 1st place in the contest Website Without Barriers, organised by the Widzialni Foundation together with the Broad Accord for Digital Skills, in the category Non-public Websites, as a www service comprising more than 100 subpages. 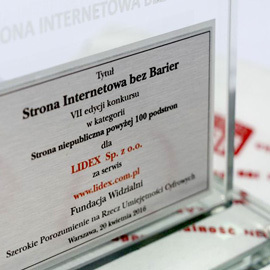 The results of the 7th edition of the contest were announced during the conference "Digitally Excluded", held on 20 April 2016 at the Sejm of the Republic of Poland. 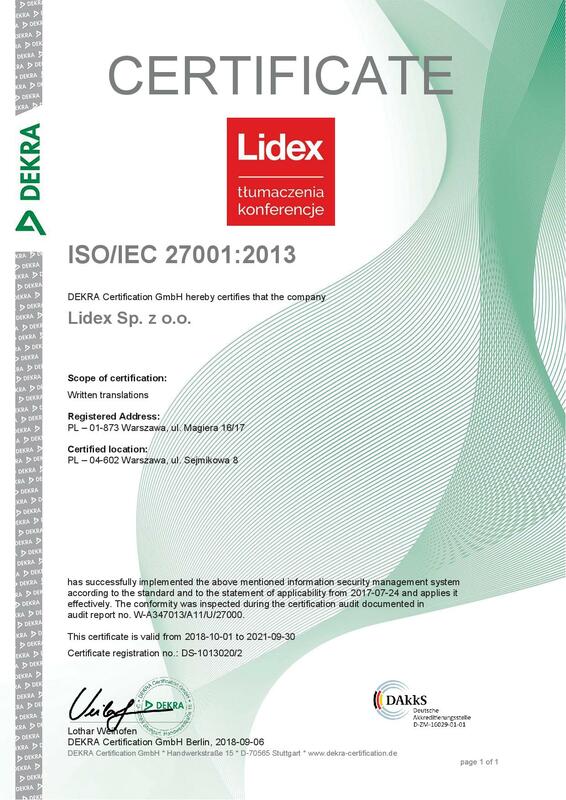 The statuette and certificate were received, on behalf of LIDEX, by Stanisław Buczyński, CEO. Below we present a fragment of online transmission recording of the conference. The full recording of the conference streaming, audio description, and sign language interpretation can be found at the web pages of the Sejm of the Republic of Poland. We are glad that the work to enhance our portal has been noticed. We hope that it is and will be useful for all the visitors. 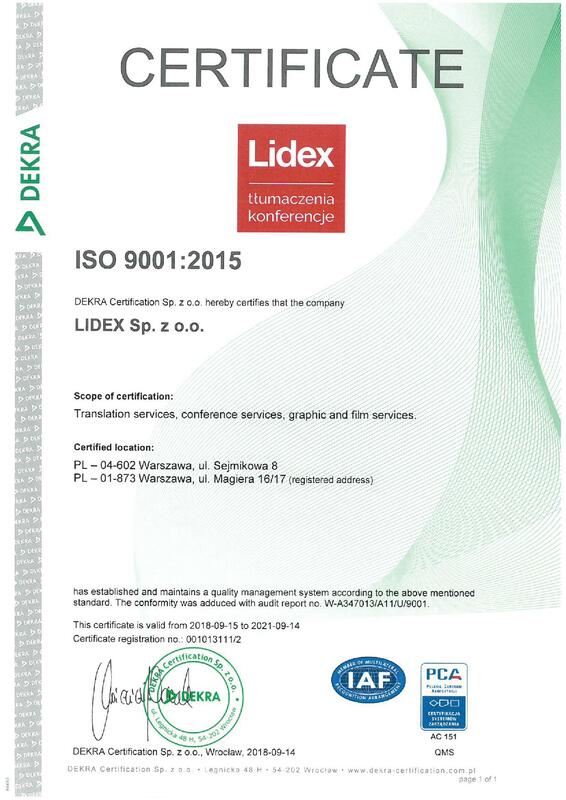 We are grateful for the distinction.